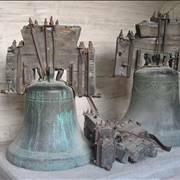 History of bells started with the advancement of metallurgy in ancient china. In 2000 BC, fist bells started to appear, slowly managing to infuse themselves into Chinese culture, religion and the way of life. As the centuries went on, creation of bells became and art, giving artist a chance to infuse on them various images and themes that attracted the attention for Royalty and nobility in China. They changed the way how bells were used, creating from the an item that symbolized wealth, power and influence. However, this all changed when bells started spreading across Asia from rich India to the land of the rising sun Japan. This expansion provided several important changes in the way bells were used – smaller bells were openly used by people who wanted easy way of conveying information across large distances (notifying end of a work shift for example), musicians of all sorts adopted small and precisely made bells as important instrument, and most importantly, religions such as Buddhism, Hindu, Shinto, and even Ancient Egyptian religion of sun gods. These religions proved to be crucial for adoption of bells all across the world, and many of their early bell uses still survive today in numerous religious ceremonies, traditions and public superstitions that were created by the people themselves. Before Christianity even appeared, bells were viewed as a musical instrument of the gods, as items that can carry the will of the gods across the land, provide peace, clear minds, exile bad spirits and provide happiness. 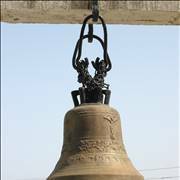 The bible has many mentions of the bells, especially in the tales of Moses who studied priesthood in Egypt and carried knowledge of bells and gongs to Christianity. Bell clapper is made from same material as the bell itself. Bell clapper can hit the bell with speed of up to 1000 kilometers per hour, and bell can withstand this force for thousands of years if its created correctly. Toiling bell is stationary bell that rings in slow repetition. 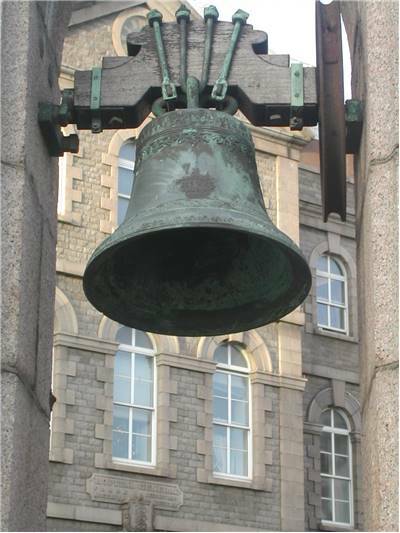 Carillons are set of minimum of 23 precisely tuned bells. 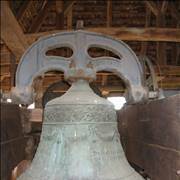 Great Britain has nickname of “The Ringing Isle” because of its many bells. 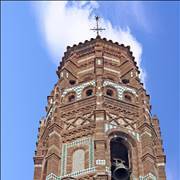 Largest bell ever made was Great Bell of Dhammazedi. It weighted over 300 tons when it was created, and was eventually lost under the river Burma when Portuguese conquerors tried to steal it and melt it for cannons. Titanic had three bells with diameters ranging from 2 to 23 inches. Bells are one of the most influential percussion instruments whose powerful sound and simplicity in communication managed to become one of the most important instruments in the world. 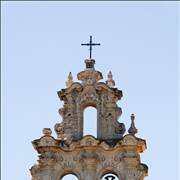 Here you can learn it all, their history, connection with church, and popular traditions that are still connected with them. Production of bells is an art that is as old as a modern human civilization. To produce one bell, artisans must successfully follow detailed instruction, gather materials, and pray that everything they do will not lead to the catastrophic failure that can very easily destroy the bell. Here you can learn more about that process. Over the one and half millennia, many bells managed to become famous all around the world. Here you can learn more about those notable bells, when they are made and what makes them special. After the Western Roman Empire fell, European church was finally able to operate in public. 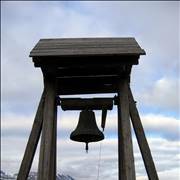 During 5th century, Italian monks revived the ancient knowledge of bell founding, creating first European church bells. Tradition of bell use in Christian church slowly traveled across Europe, especially after Pope Sabinian acknowledged bells in 604 as an important part of many Christian ceremonies. As bells received distant lands (such as British Isles), local population started forming their own superstitions around them. The most popular among them is the belief that sound of bells will bless the marriage and ensure happiness for newly wed couple. This tradition managed to spread across the world, becoming one of the most known traditions at modern church weddings and transforming bell into a synonym of marriage. 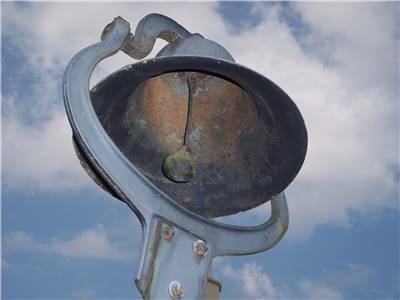 With advances in metallurgy and bell founding, modern bells became larger with each passing century. 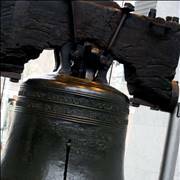 Using the 3000 year old mixture of bronze (4:1 ratio of copper and tin), bell founders managed to forge incredible creations that still put awe into people who managed to experience their sound. Created over a long process, bells were specifically made to amplify their resonance, and produce pleasing sounds that can reach distance of many miles. 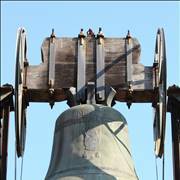 Today, bells are created from the smalles decorative sizes to the large 300 ton bells that are viewed as some of the most important national treasures.